Muck diving is one of the most favorite ways to spend time underwater for many experienced scuba divers and underwater photographers. This kind of diving is basically hovering over a mucky, muddy or sandy area with patches of life looking for special small creatures. 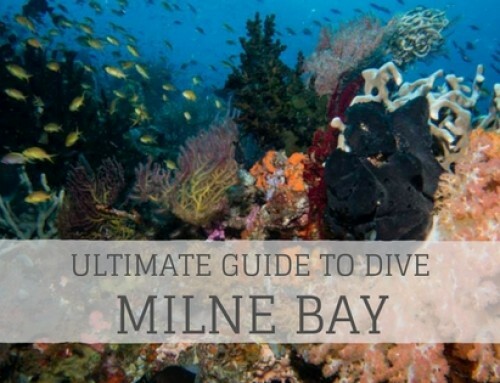 At first it might not sound appealing to go muck diving compared to dive along a colorful coral reef. However, the amount of critters that populate these areas is incredible. Many little animals can even only be found there. 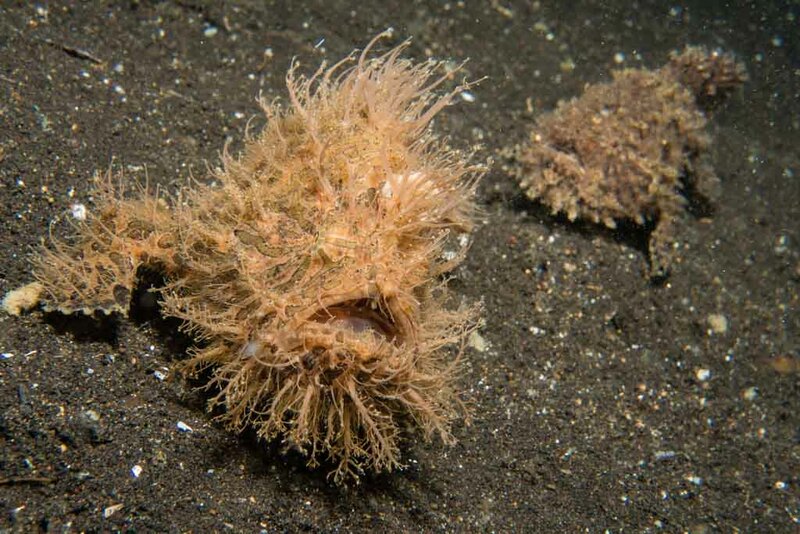 The marine animals divers may encounter include nudibranchs and sea slugs, different types of shrimp and crab, cephalopods, scorpionfish, seahorses, pipefish, eel, worms and juvenile fish. I fell in love with muck diving immediately when I tried it first in Malapascua in the Philippines (not on the list, but amazing too). For any diver who loves special awkward creatures the mucky areas will turn out to be a paradise. 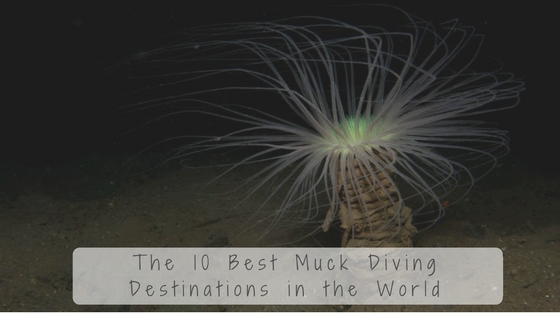 If you wanna give muck diving a try make sure to visit one of the “top 10 muck diving sites in the world” listed below. 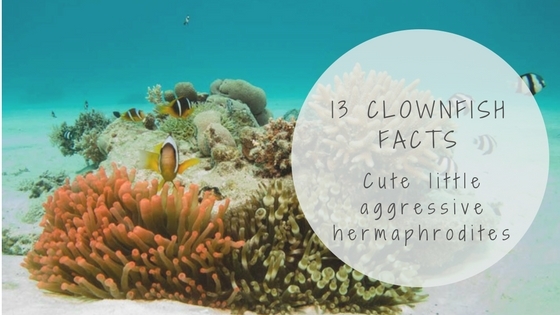 These are all located in the Coral Triangle with the highest underwater biodiversity in the world. I had the opportunity to dive all of these within the last four years. This is where muck diving has been invented for a reason. The variety of rare, awkward and endemic species is unbeaten and so is the remoteness. When diving in Milne Bay there will rarely ever be another dive group close by. There is one Resort located in Tawali and a few liveaboards frequenting the area. 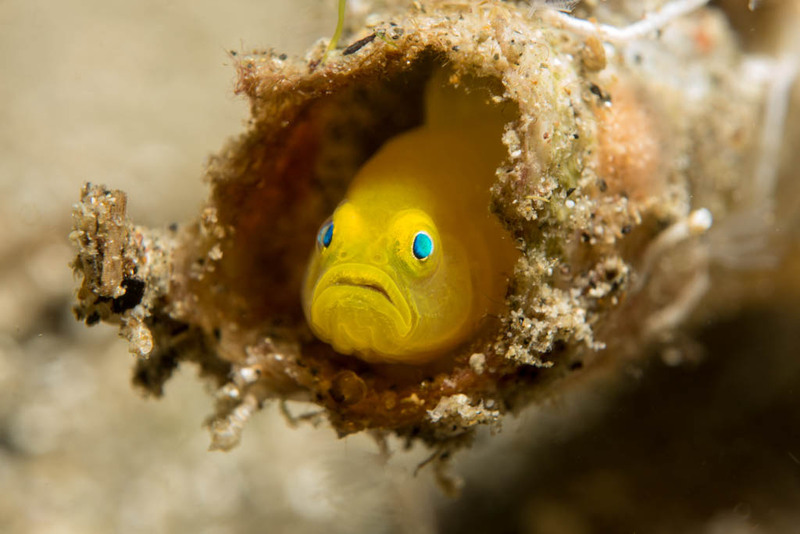 Lembeh is a critter paradise and one of the most famous destinations for muck diving. Many resorts are located along the Lembeh Strait in northern Sulawesi. The dive sites lie within fairly short boat rides from the dive centers. 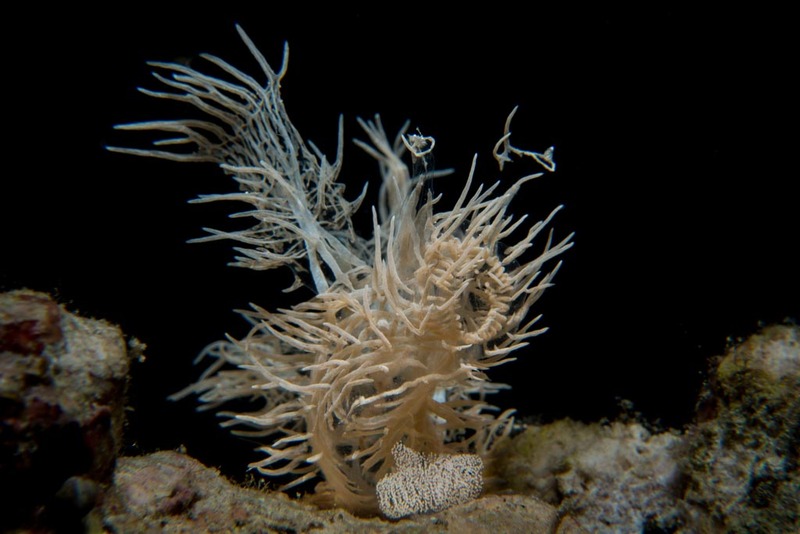 One little pipehorse, the Lembeh Sea Dragon, has even been named after the area as it has been discovered there first. While Lembeh is the muck capital of Indonesia, Anilao is the same in the Philippines. It is hard to decide which one of the two is better. 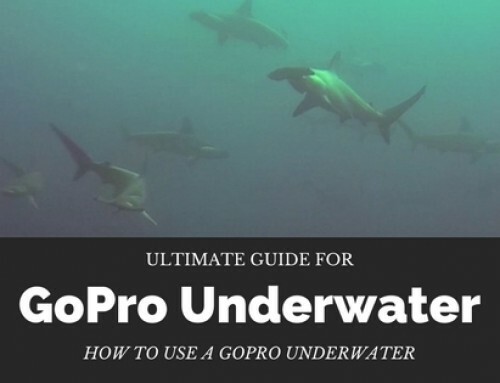 As it might be with all of the destinations in this list the amount of critters observed always depend on luck, a good guide and conditions. 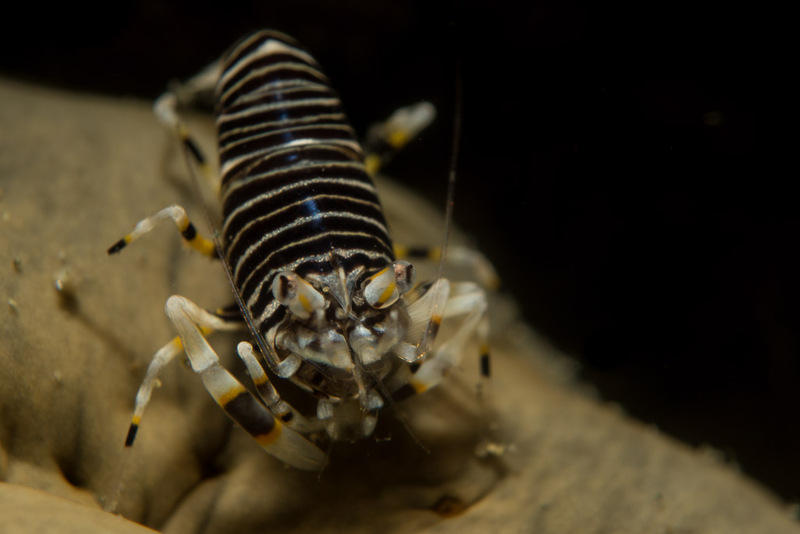 The dives around the bay close to the village of Anilao can be filled with different little creatures and will make every underwater macro photographer happy. The dive sites are reached by boat within around an hour. 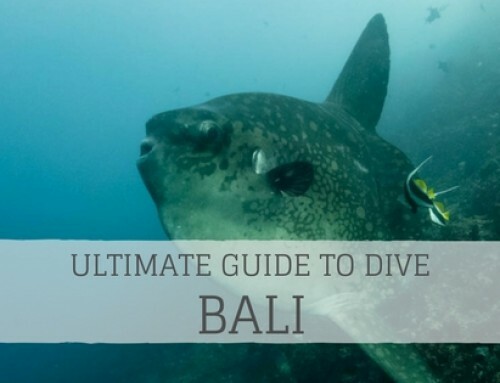 Bali has many different areas which offer world class muck diving from Padangbai in the East, along the coast between Amed and Tulamben including the famous place Seraya Secret up to Puri Jati and Secret Bay in the North. Famous inhabitants are the Donut Doto and Shaun, the Sheep. Most of the dive sites are shore entry. Many divers go to Dumaguete in order to see the coral reefs around Apo Island. For some, however, the muddy coast just off the resorts in Dauin is even more exciting. 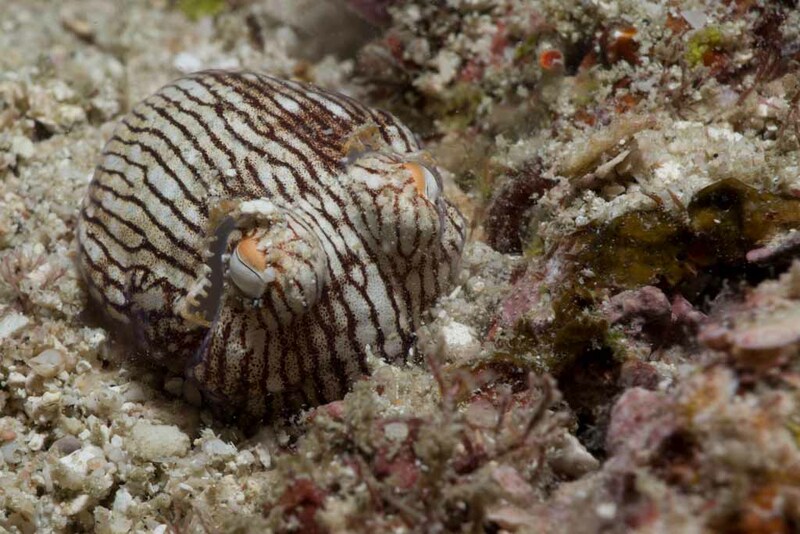 I saw my first flamboyant cuttlefish, wonderpus and mimic octopus there all in just one dive over black sand. Housereef diving with shore entry is possible from some resorts, the rest is boat diving. Ambon got famous for its own frogfish – the Ambon or psychedelic frogfish. 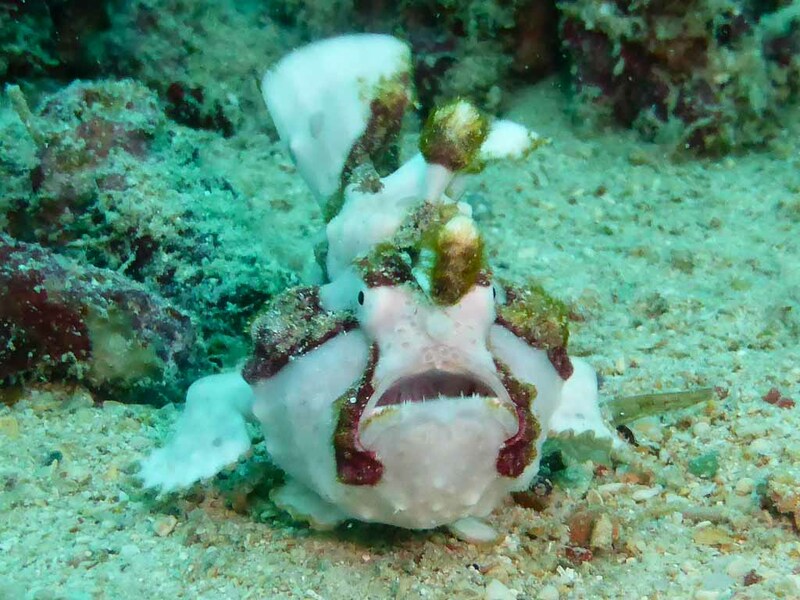 I wasn’t lucky enough to encounter it yet, but even besides this unique creature Ambon has a lot to offer. 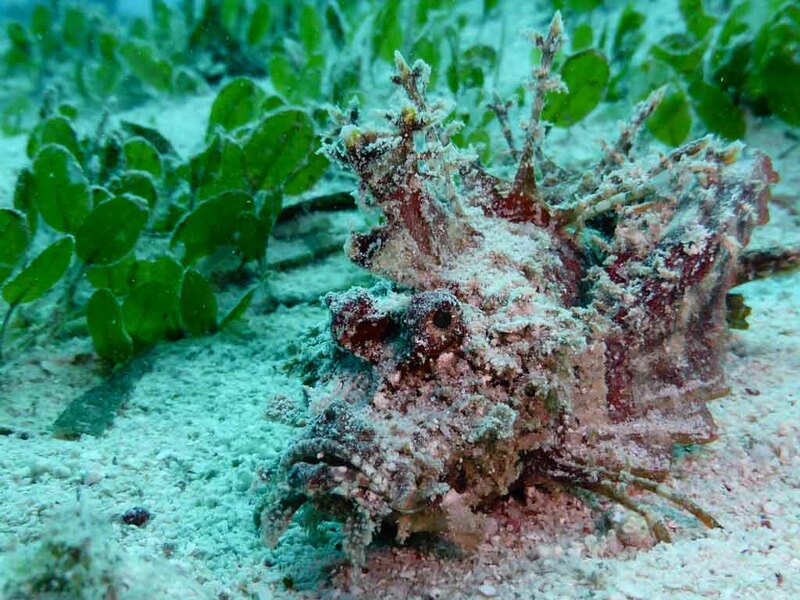 It is common to find different rhinopias (a really cool type of scorpionfish) and frogfish. The night dives at the Twilight Zone were some of the best I have ever done. Housereef diving with shore entry is possible from some resorts, the rest is boat diving. 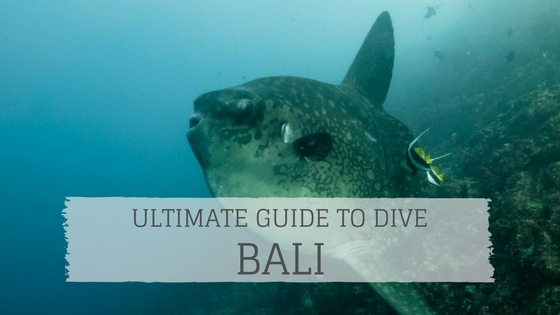 Mabul is a well-known diving destination as it is located close to the world famous Sipadan. It is definitely worth to explore the sand and artificial reefs around the island too. 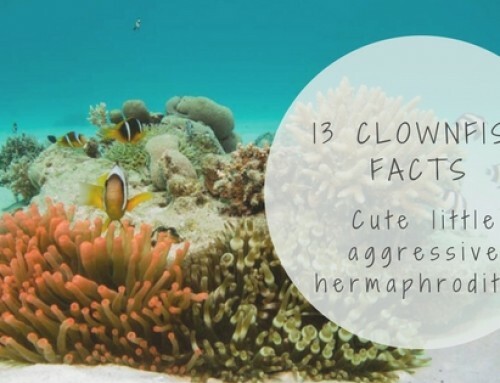 These areas are inhabited by all kinds of different creatures including many nudibranch species, frogfish, ghost pipefish and much much more. Housereef diving with shore entry is possible from some resorts, the rest is boat diving. 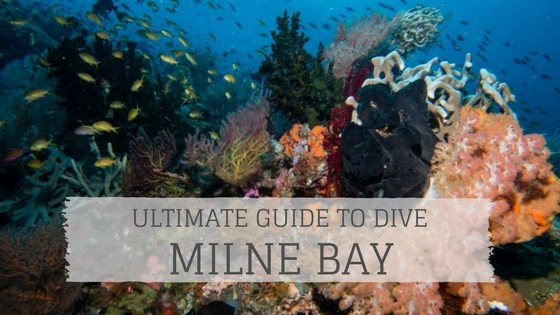 Only a handful of dive shops can be found in whole Timor Leste, all of them located in the capital Dili. Besides pristine reefs and pelagics they do have some incredible muck sites. One of those is located just outside of Dili named Tasi Tolu. This is probably also the best muck dive sites in Timor Leste with a huge amount of different critters around. Most diving is shore entry, some of the sites are up to 1 1/2 hour drive from the dive shops. 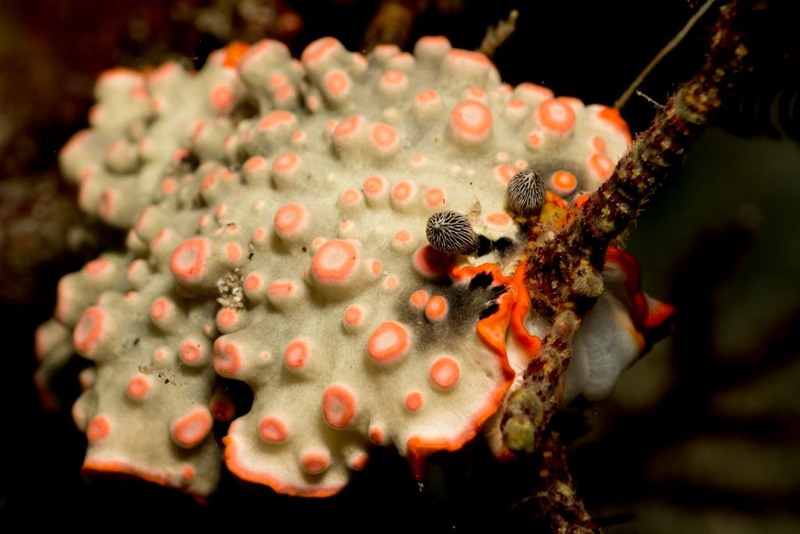 Romblon has become more famous among underwater photographers in the recent years due to the abundance of a very special nudibranch – the ghost nudi or Melibe Colemani. Other highlights are four types of pygmy seahorse, cyerce (butterly) slugs as well as other rare nudibranchs, slugs and shrimp. The dives sites can be reached in fairly short boat rides. Besides wonderful reefs, crazy currents and sometimes cold water the many dive sites around Alor offer different muck diving opportunities. 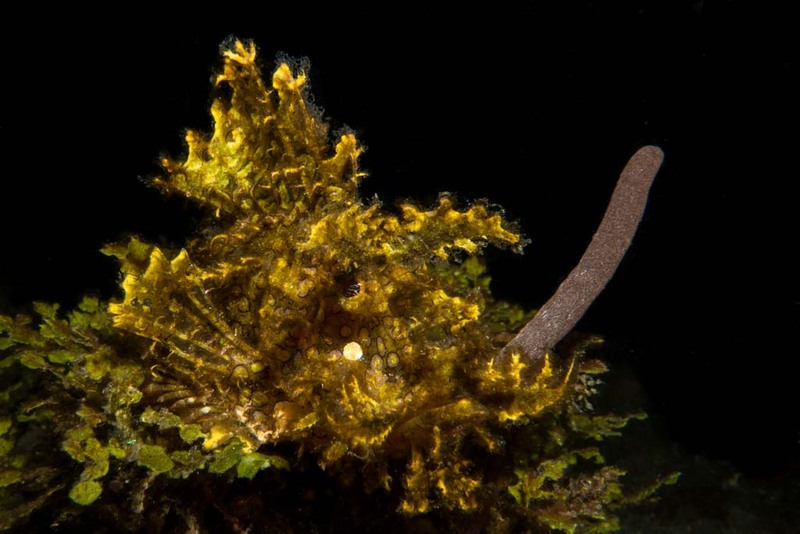 The area is famous for its rhinopias plus a variety of nudibranchs, shrimp and other critters. The dives sites can be reached in boat rides of up to one hour. Have you been to any of these destinations or would you add different sites to the list? Let me know in the comments below! 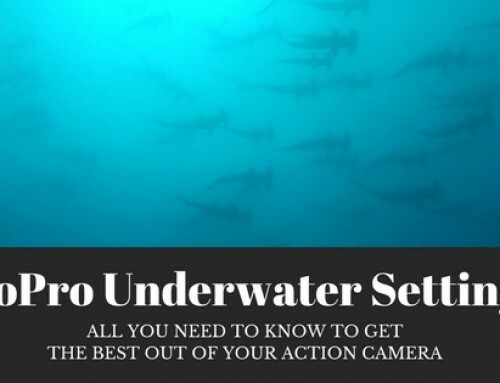 I would consider diving also in Sogod Bay, Leyte Philippines as macro and wide angle photography especially the night dive at Padre Burgos Jetty. Thanks a lot! Padre Burgos is definitely on my to do list. Will then go do the night dives at Padre Burgos Jetty. 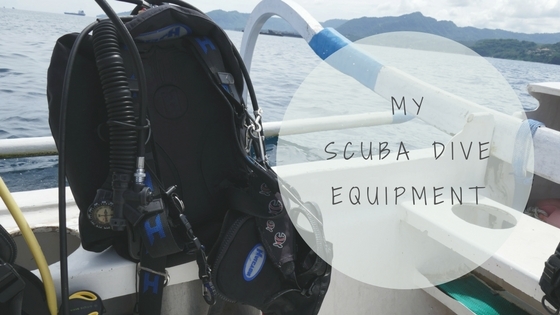 Do you have any recommendation which dive shop to go with? There are four dive resorts in this area. I would suggest you dive with Peter’s Dive Resort. November to May has the best chance of whale shark encounter while diving. Include also Napantao Santuary. Ich habe im 2017 bisher mein einziges Mal Muck-Diving erlebt, das war in der Strasse von Lembeh und es war viel besser als ich dachte. Ich habe dort zum ersten Mal Bluering Octopus gesehen, das gleich 3 Mal, Pygmy cuttlefish, Bargibanti rot und zum ersten Mal auch die gelbe Variante, painted frogfish, viele nudibranches, shrimps und andere Tierchen. Definitiv ein Highlight unter Wasser. Klingt als hättest du die ganzen Hightlights von Lembeh gesehen. Dazu braucht es auch einiges an Glück und natürlich einen guten Guide, der die Dinge findet. Dann wirst du bestimmt eine andere Muck Diving Destination finden, welche dir genau so gut gefällt wie Lembeh. Oder du gehst wieder zurück. Ich könnte immer und immer wieder in Lembeh tauchen gehen. 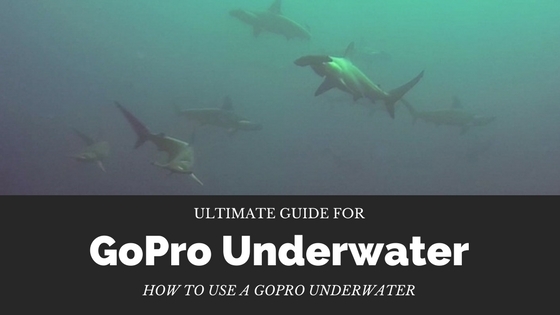 Get your Ultimate Dive Travel Packing List! Traveling full-time for 4 years now I explore dive destinations all over the world. I'm a scuba instructor, biologist and underwater photographer. 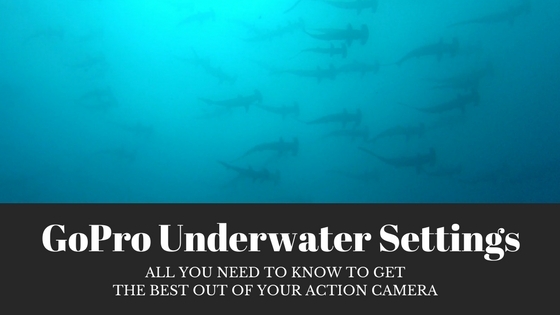 Through my stories, reports and photography I show you the most beautiful destinations, fascinating marine life and hacks to enjoy scuba diving even more. Acceptance of any contribution, gift or grant is at the discretion of More Fun Diving. More Fun Diving will not accept any gift unless it can be used or expended consistently with the purpose and mission of More Fun Diving. 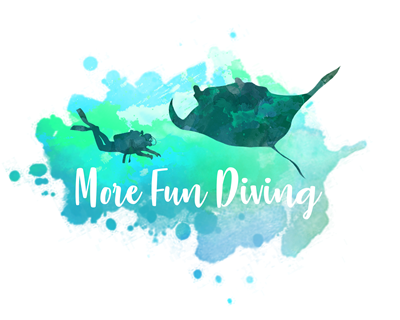 More Fun Diving will refrain from providing advice about the tax or other treatment of gifts and will encourage donors to seek guidance from their own professional advisers to assist them in the process of making their donation. More Fun Diving will accept donations of cash or publicly traded securities. Gifts of in-kind services will be accepted at the discretion of More Fun Diving. Certain other gifts, real property, personal property, in-kind gifts, non-liquid securities, and contributions whose sources are not transparent or whose use is restricted in some manner, must be reviewed prior to acceptance due to the special obligations raised or liabilities they may pose for More Fun Diving. More Fun Diving will provide acknowledgments to donors meeting tax requirements for property received by the charity as a gift. However, except for gifts of cash and publicly traded securities, no value shall be ascribed to any receipt or other form of substantiation of a gift received by More Fun Diving. More Fun Diving will respect the intent of the donor relating to gifts for restricted purposes and those relating to the desire to remain anonymous. 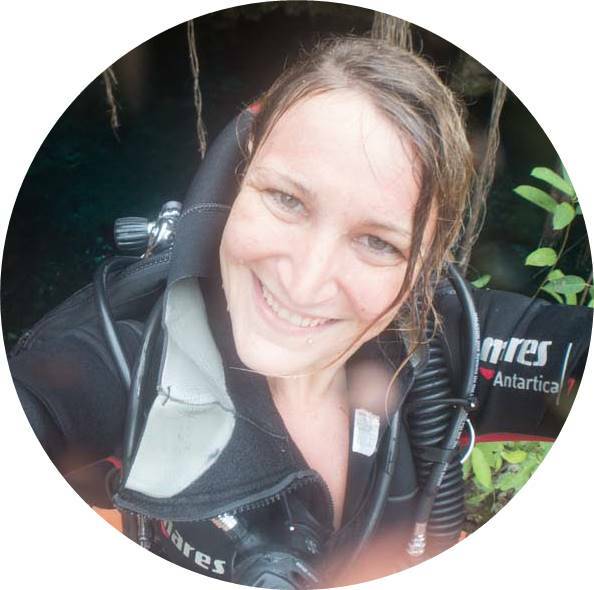 With respect to anonymous gifts, More Fun Diving will restrict information about the donor to only those staff members with a need to know. 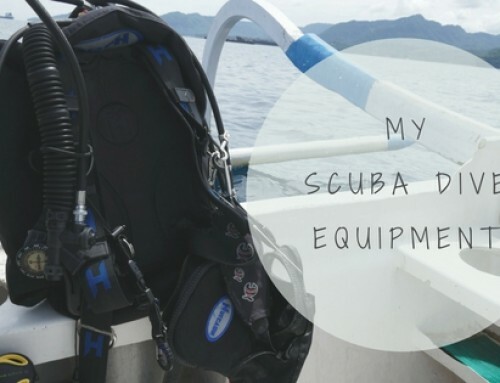 More Fun Diving will not compensate, whether through commissions, finders' fees, or other means, any third party for directing a gift or a donor to More Fun Diving. Can sea snakes bite humans? 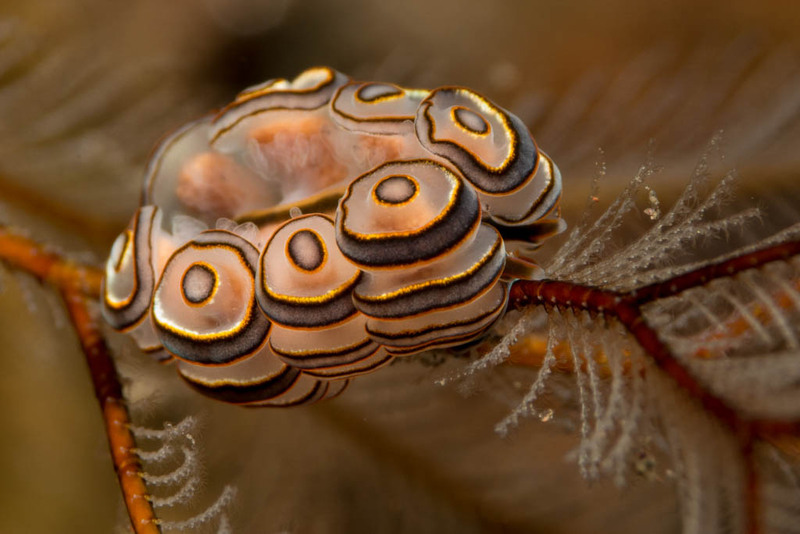 Nudibranch or sea slug? Whats the difference?